Mr Schafernaker claimed: "Oh boy! This utterly insane." It came just after the long Bank Holiday weekend saw a warm Saturday afternoon which broke into a very violent thunderstorm with brought heavy rains. 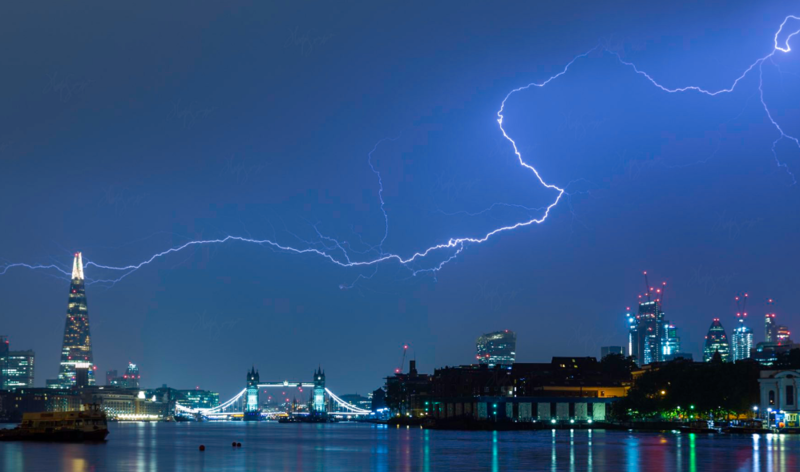 The thunderstorms moved northwards across the south of England, the Midlands and Wales with all weather models stating they will continue throughout Sunday. Warnings are in place for heavy rain and flooding. Other weather presenters were impressed by the size and the regularity of the electrical storm as well. Sky News weather presenter Ms Jo Edwards claimed it could go on for days: "Heavy thundery showers will be a feature of the weather over the next few days, developing over southern counties and the south-west. "Some places will face a deluge, with torrential downpours bringing significant rainfall. There'll also be frequent thunder and lightning with the risk of some large hail. "Overnight the thunderstorms will move northwards to reach northern England, the Midlands and East Anglia by the end of the night." Even God's is furious about Tommy Robonson's ridiculous arrest for 'breach of the peace'. Watch out Teresa May !